It is a requirement of your Agreement, that the goods are protected against Theft and Accidental Damage. We can arrange Theft & Accidental Damage Cover for £0.98 per week. It is a requirement that products purchased on a credit agreement are insured. We can offer Theft and Accidental Damage Cover for £0.98 per week. 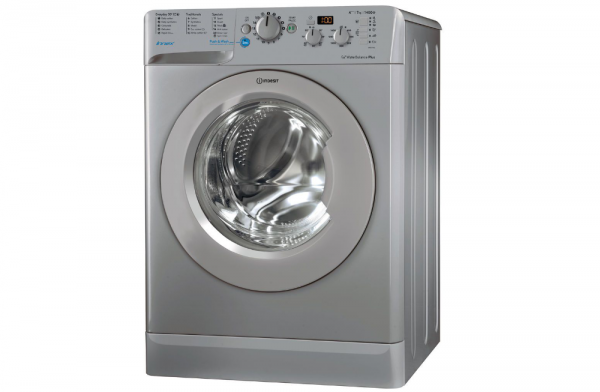 For the busier households, the Indesit Innex BWD 71453 S UK 7kg Washing Machine in silver excels in getting the results you want while saving you time, money and effort. Combining excellent daily cleaning technology, super capacity, 1400 rpm and an exceptional A+++ energy rating – it’s everything you need for super-clean, great smelling laundry. Featuring our innovative Push & Wash program, it only takes one step to reach brilliant cleaning and stain removal in just 45 minutes. For your regular wash cycles, there are many Everyday Eco programs available. These include daily cotton, synthetic, colours, hardwearing and delicate washes, and a Rapid 30 Minute freshen up for lightly soiled garments. Operate through the easy-to-use Digital Display, the Indesit Innex Washing Machine also includes a Delay Timer which lets you set the cycle to the most convenient time for you.